You haveuntil our first application cycle ends. 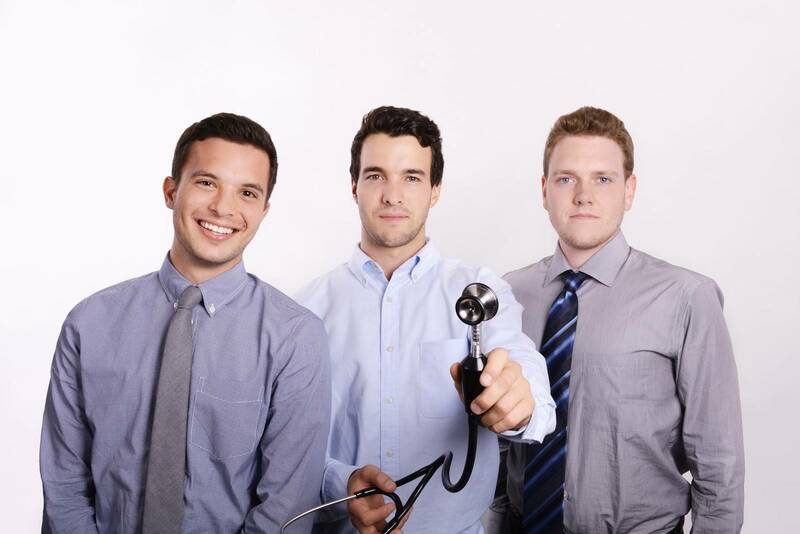 See how we’re helping these UC Berkeley graduates alter the future of cardiac care. 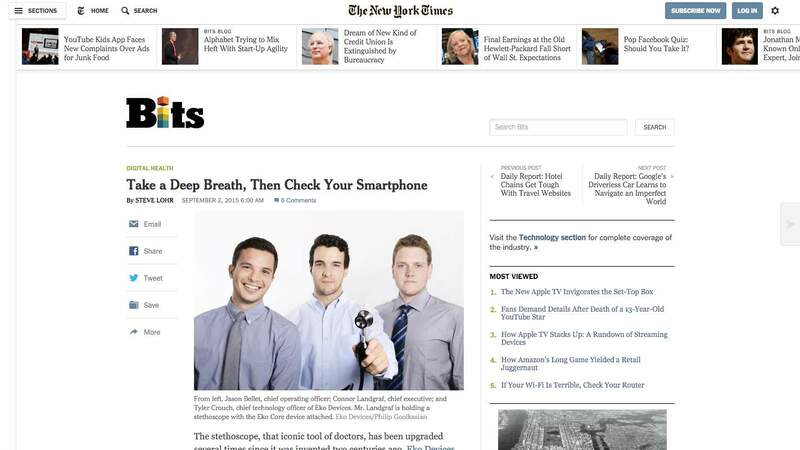 The success of FOUNDER.org company Eko Devices was featured in CNN Money, New York Times, Tech Crunch, Washington Post, and many others. Click on any thumbnail to view the article. How and where did you start? The three of us decided to enter a startup pitch competition on campus sponsored by Skydeck – the campus wide incubator at UC Berkeley. 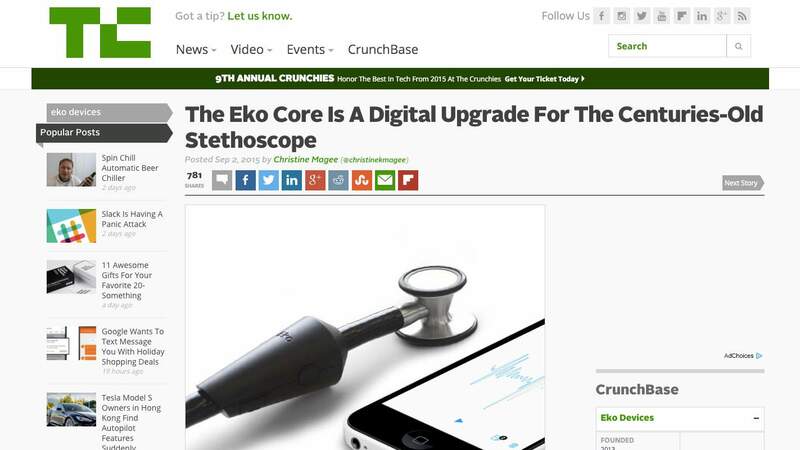 We presented Eko, the digital intelligence stethoscope. 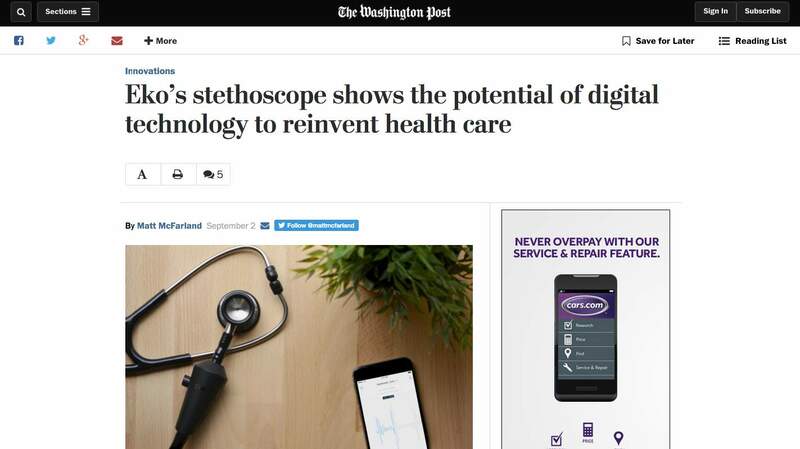 The basic idea was to digitize the sound from a traditional analog stethoscope and automatically analyze it so doctors didn’t have to feel stupid that they couldn’t remember all the different arrhythmia they studied in medical school. We ended up winning the competition and as a result we’re accepted into the Skydeck incubator. Skydeck became our home, along with approximiately 25 other teams for the next six months as we tried to figure out what to do next. What was exceptionally difficult about your startup? Everything was great, except with only four months until graduation, we were torn between jobs we were being offered and continuing to pursue our passion of starting a company around their idea. While we dedicated ourselves to building a prototype and continued to talk to physicians, the pressure of graduation, good paying jobs and four years of student debt was weighing heavily on their minds. FOUNDER.org started working with UC Berkeley and Skydeck in January 2013. They took notice of us during their first visit. They told us they provide funding to sway young innovators with world changing ideas in the direction of pursing their dreams, but that their real focus was on helping us build a sustainable company. Were we up for it? You bet. We applied and won a $100K award from FOUNDER.org and entered our inaugural Class of 2014. We worked together with the FOUNDER.org for 12 months through series of 8D challenges. We learned a lot but even more from the other incredible companies in the first class. During the same 12 months we were hiring engineerings and getting our first product ready for test. We needed funding. Since we’d been working with FOUNDER.org for over a year, it was easy for us to step up and ask for Series A funding round, which we got. What would you tell others who are considering FOUNDER.org? FOUNDER.org has pushed us to grow faster and think bigger. The team has a wealth of recent experience growing startups and has a clear understanding of all the life cycles of startups. The big difference to us has been the critical feedback and pressure so important for startup success. Apply as soon as you get a chance. 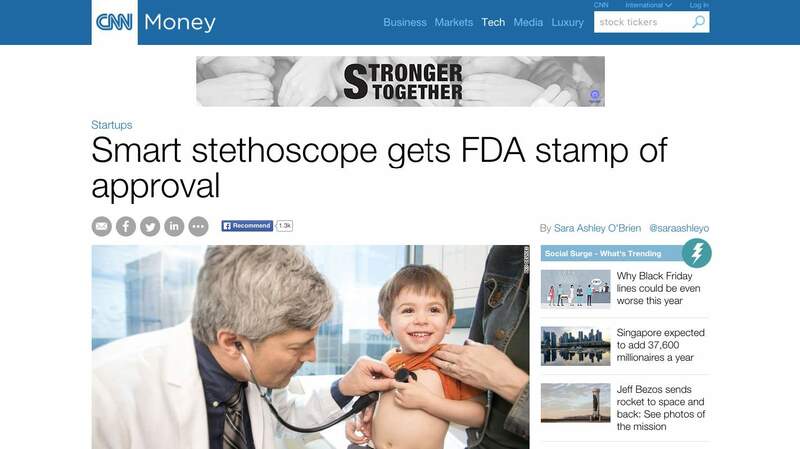 With funding, advice and support from FOUNDER.org EKO is altering the future of cardiac care. You can be next. Applications are accepted online on this page or at www.founder.org/apply. We accept and evaluate applications in cycles from November through March or until our class (up to 50 teams) is full. Applying early gives you a significant advantage. Review the sections below for more information. Our first application cycle deadline is December 31, 2015. Applications are evaluated and accepted on a first come first serve basis. Submitting your application early gives you a big advantage. We have more time to read and consider your application and we get very busy as we receive more applications. If there is a good match, we will invite you to present to our associates and executives. These presentations usually take place online. Following your presentation, we will create and share with you feedback on your 8D assessment across our eight dimensions for creating a world changing company. We will invite up to 50 of the most promising applicants to join the class. The new class will kickoff at the World Founder Forum in June 2016. The WFF is the global event for all FOUNDER.org classes and alumni. Every team is awarded up to $100K at the World Founder Forum. Teams are matched with their executive mentor and their program mentor. The class starts the deep 8D challenge journey. Teams and mentors work together on challenges and aspects of the company during weekly office hours. Teams gather every three months at our quarterly forums to meet investors, customers and share their progress. Students, recent graduates and faculty from accredited universities around the world. Each dimension is as important as the other in building a company, but early on during the application process, we put more emphasis on Idea, Team and the business model aspect of Business Planning. 50 teams will be invited to this year’s class. Our first application cycle deadline is December 31, 2015. Applications are accepted on a rolling basis – slots are filled as applications come in. The one year program begins with the World Founder Forum in June 2016.